Rejoice, gadget fans, as the war could soon be over. 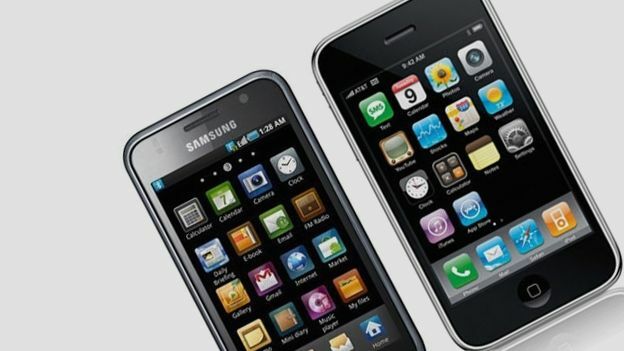 The brutal patent infringement saga inflicted upon us by Apple and Samsung may be entering its final dark days as the two companies have agreed to settlement talks. Apple CEO Tim Cook and his Samsung counterpart Gee-Sung Choi will sit down together (along with scores of lawyers of course) within the next 90 days in a bid to end the year-long battle over who copied who. The pair have been riding the legal merry-go-round for precisely a year now, in a row which started when Apple told courts in nine different countries that the Samsung Galaxy Tab and Galaxy range of smartphones had stolen its inspiration and a whole lot more from the iPhone and iPad. Since then each side's legal team have been chasing each other around the globe with suit and counter suit, and in the process filing more column inches than the critically acclaimed tech in question. Now a California court has brokered discussions between the pair, which, if successful, would see an out-of-court settlement and a tidal wave of relief spread throughout the tech world. In a joint statement filed to the San Francisco court, the Apple and Samsung said: "As directed by the Court, Apple and Samsung are both willing to participate in a Magistrate Judge Settlement Conference with Judge Spero as mediator. At Apple, the chief executive officer and general counsel are the appropriate decision-makers, and they will represent Apple during the upcoming settlement discussions. At Samsung, the chief executive officer and general counsel are also the appropriate decision-makers, and they will represent Samsung during these settlement discussions." The companies, of course, have other business interests to consider with Samsung remaining one of Apple's key component suppliers throughout this year-long legal spat. As dramatic, and occasionally ridiculous, as this story has been, let's hope the talks are successful and we can all get back to debating who makes the better smartphones. That's much more fun.